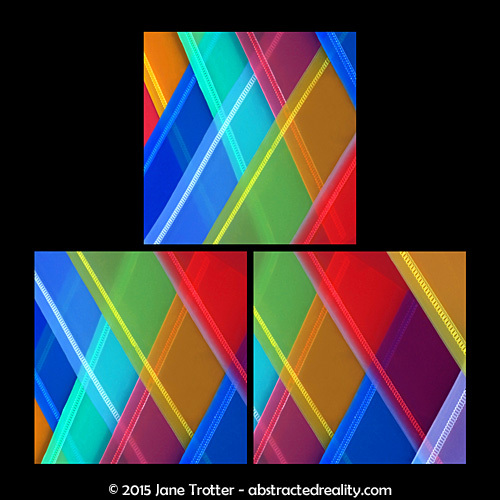 I love to create triptychs. 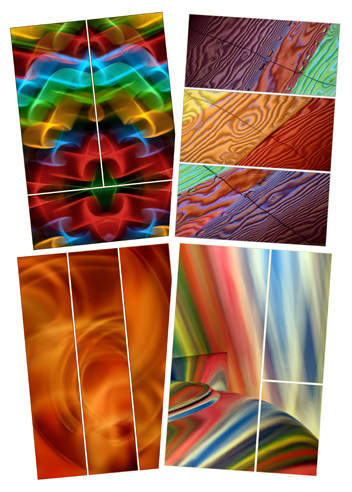 Over the last few years I’ve been investigating and experimenting with this fascinating genre and discovered there are numerous possibilities for arranging and assembling your panels. In this article I thought I’d share some of the options available and the different types of ‘cuts’ you can use. I hope you’ll also get a feeling for how I go about deciding on my triptych cut and what influences my choice. Just to clarify, when I use the term ‘cut’ in this context, I don’t mean cutting, cropping or dividing a single image into three sections. What I’m referring to is the nature or orientation of the divisions between the panels and how the panels are arranged to make a single visual unit. 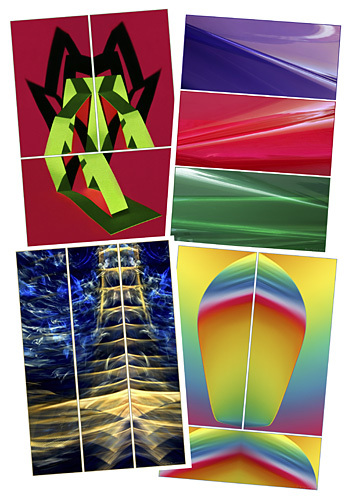 Deciding how to arrange and position your triptych panels can be a bit of an art form in itself. Maintaining a sensitivity to the look and feel you want to achieve is extremely important as the divisions in the triptych are an integral part in how we ‘read’ the final image and put it all together in our mind. 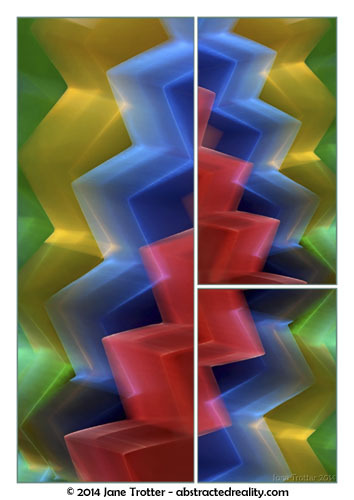 Most people, when they imagine a triptych layout, will probably visualise a ‘vertical cut’ where the three triptych panels are separated by vertical divisions. There is perhaps, historical precedence for this with the hinged altarpieces found in Churches dating back many centuries. These triptychs, which usually depicted religious scenes, were composed of a larger central panel flanked by two narrower panels which could be folded over to enclose the central piece. But a vertical cut or layout is only one of many possibilities. 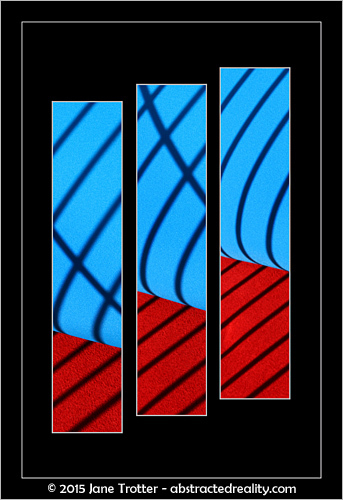 So let’s take a closer look at some examples of the various triptych cut options and the reasons behind why I chose them. I’ll begin by introducing the vertical cut before moving onto less ‘traditional’ approaches! 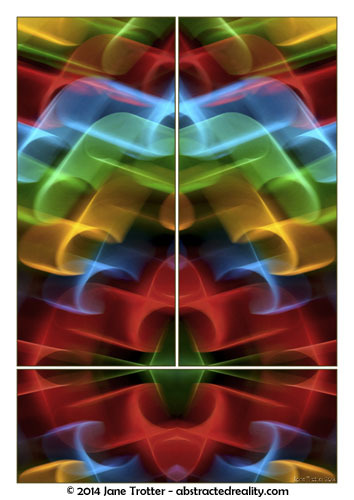 To create ‘Deus Ex Machina’ I divided a single image into three and chose a long vertical cut to individually highlight and emphasise the surreal ‘faces’ contained within the original image. 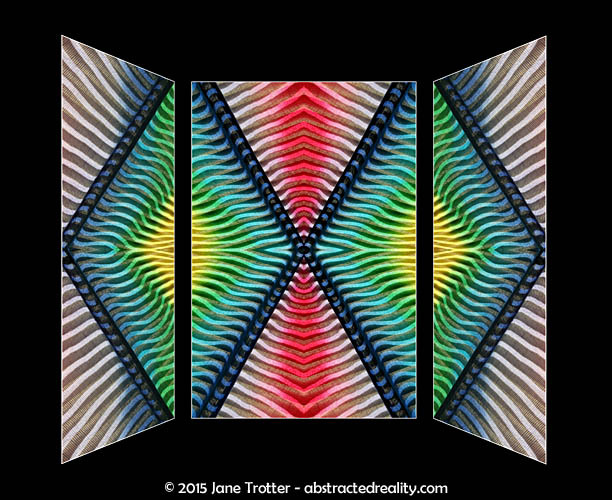 You can find out more about how I created this triptych in its ‘Exposed’ article. For ‘Electric Pagoda’, a vertical cut was the natural choice as I wanted to build the tall, mysterious, golden structure. 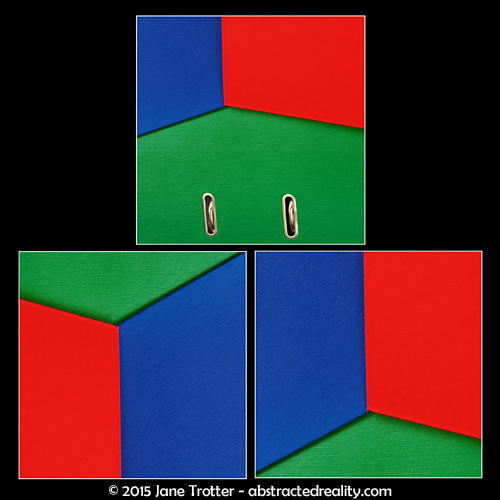 For the horizontal triptych cut, the three panels are, not surprisingly, separated by horizontal divisions. ‘Spillway’ is a good example. Here, I’ve used the horizontal cut to construct and emphasise the idea of liquid descending down a series of ridges. In ‘Ingrained’ the contrasting blocks of colour are counterbalanced as we read left to right. The weightier purples at the top and bottom of the triptych help to contain our eyes and direct us to the central panel with its lighter, swirling patterns. Another option for laying out your triptych panels is to use a ‘T’ cut where the panels intersect at a ‘T’ type junction. With this configuration, often the central point of interest is where the ‘T’ junction occurs. We can see this in ‘Mystique’ where the mirroring effects converge and form the amorphous red cross. I’ve found the ‘T’ cut format very useful if you want to highlight a symmetrical type construction. 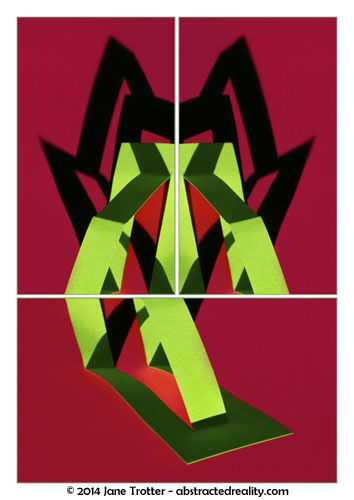 ‘Back in the Fold’ uses a similar technique to help direct our attention towards the middle of the image where the green and black lines align. And why not have the ‘T’ junction on its side? ‘Cascade’ is designed to have the coloured ‘steps’ play off each other and give the feeling of cascading descent. The orientation of the ‘T’ not only serves to construct these steps but also elongate the image. Now we come to what I call the ‘Building Block’ construction where one panel sits on top of the other two, in the same way a child would stack toy blocks on top of each other. For this format, I usually use square panels. In a sense, the Building Block layout is really a variation of the ‘T’ Cut, but I think it’s sufficiently different in appearance that I’ve created a separate category. The beauty of the Building Blocks is that you’re working with more of a triangular or ‘pyramid’ conception rather than a rectangular mindset and this can lead to some very different approaches to composition. ‘Tri-corner’ plays with very basic geometric shapes, block colours and perspective. 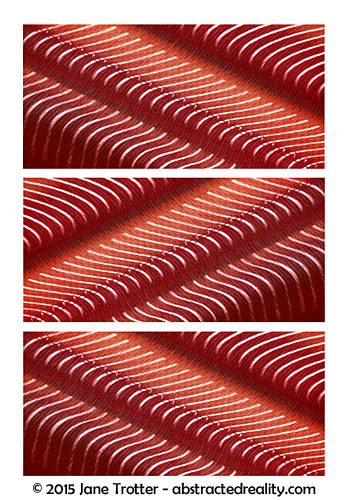 The ‘flow’ of the image moves up towards the green peak in the top panel. ‘Crossing Over’ also creates a sense of depth with the overlapping plastic sheets. The top panel serves to emphasise and expand the idea of line and length presented in the panels underneath. 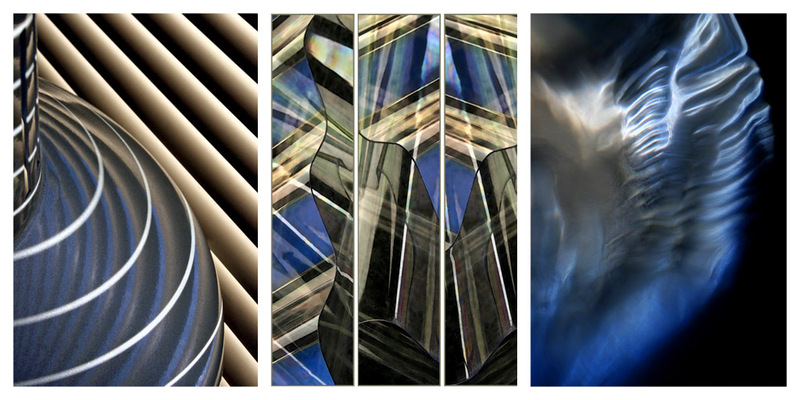 I’ve found these Building Block triptychs quite challenging to produce. Having the top panel align with both panels on the bottom using some form of connecting shape, pattern, line or colour can be rather difficult, but I’ve certainly enjoyed trying something new. Now, you don’t always have to have your panels aligning exactly – there’s no reason why you can’t place them on a diagonal if you feel the composition warrants it. 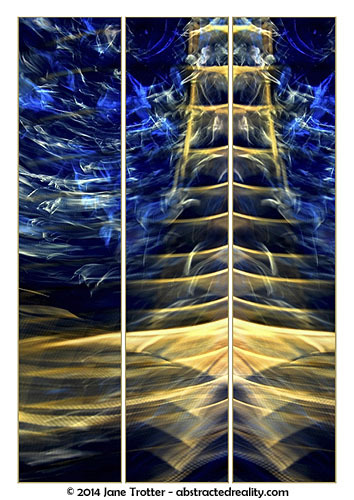 ‘Blue Diamonds’ pays homage to the triptych altarpieces with the thinner outside panels ‘folding in’ towards the central panel. 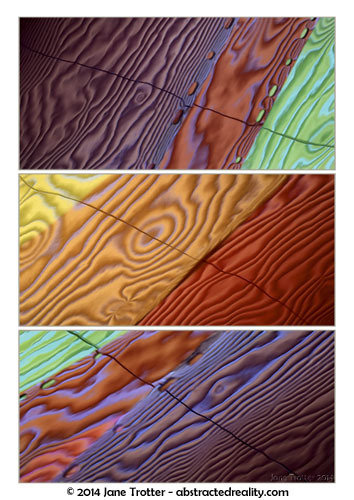 In ‘Lining Up’, the ‘staggered’ diagonal placement of the panels coincides with the diagonal content of the subject matter. For something a little different, you could always try a diagonal cut. I must confess, this is not something I do a lot of as I tend to prefer the cleaner 90 degree edges around the panels. But you can certainly have fun experimenting and don’t discount it as an option if you think your image warrants it. The diagonal cuts in ‘Peak’ follow the natural divisions within the image itself. 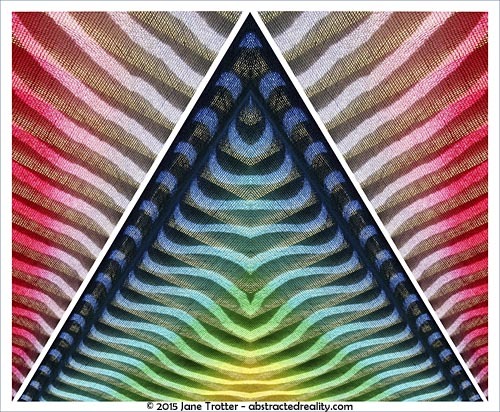 And for a little more fun, I’ve re-imagined ‘Peak’ into ‘Triumvirate’, still playing with the triangular cut. Freestyle Format – Do whatever you like! Finally, you can really do whatever you want – don’t get hung up with rules. 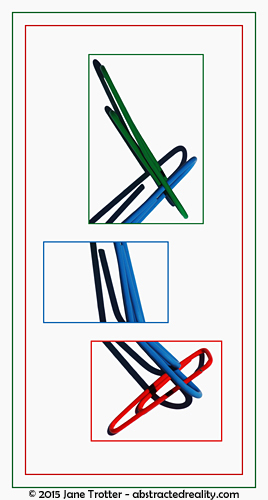 In ‘Disconnect’, I really just arbitrarily chopped up the original image, effectively elongating the blue paper clip, and put the panels down in a ‘freestyle’ kind of way, although still being mindful of having the content within each panel lining up. I guess this is really a combination of a horizontal cut and diagonal placement. So the next time you’re experimenting with creating a triptych, take time to step back and consider some alternative layout options. Each cut brings with it its own unique considerations and challenges, and not all cuts will suit the image or images you’re working with, but keep an open mind and you might just be surprised at what you can create! 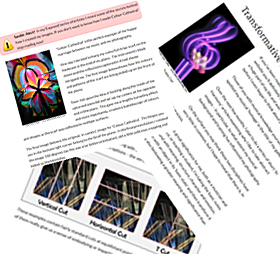 If this article has whet your appetite for triptychs and you’d like to learn a little more about how to make them, please read my other articles The Art of Creating a Triptych, How to Make a Triptych and The different types of Triptychs for more ideas.